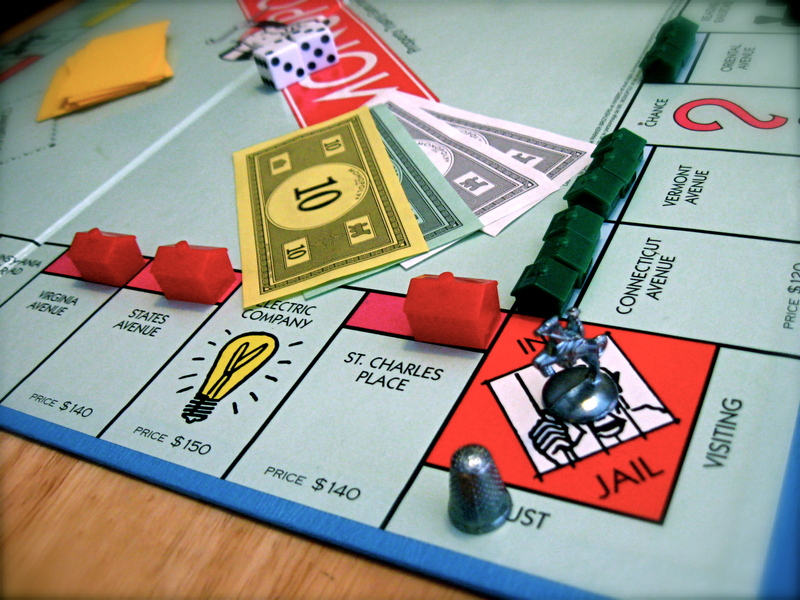 This week we play one of the most popular board games worldwide, Monopoly . Plus, we discuss this cultural phenomenon with Kevin Tostado, the producer and director of the new documentary, Under the Boardwalk: The Monopoly Story. Kevin shares some history about the game as well as some strategy. Check out the trailer. The Facebook page for Under The Boardwalk. A special thanks to Kevin for talking to us. I like this episode! I learned a lot of things I didn’t know about Monopoly. I have a feeling next week’s episode is going to be AMAZING too. Very entertaining, guys. I’d love to hear more interviews incorporated into the podcast if a particular game lends itself to it. I listened to this episode at the gym, where they probably think I am crazy because I think I laughed out loud a couple times. Thanks for publicly embarrassing me. Also, who can confirm this? I always thought Reading Railroad was pronounced like the city in Pennsylvania (or, if you like, Otis Redding). Anyone? Anyone? That’s a good question Jeffrey. I bet Kevin would know. And maybe there’s a bright side. Does laughter burn calories? Sorry, just now noticed the comments on the Monopoly podcast. And I hope to god laughter burns calories! Monopoly was one our favorite board games and myself, two sons and a nephew would play some very competitive games – lots of negotiating and deal making. We added a twist to the game with the addition of a “fifth player” being the stock market. It was a way to build cash fast that could be parlayed into properties. I have posted on online version of the stock game. We used the thimble token for the market. All that is needed is wifi – playbullsnbears.com.